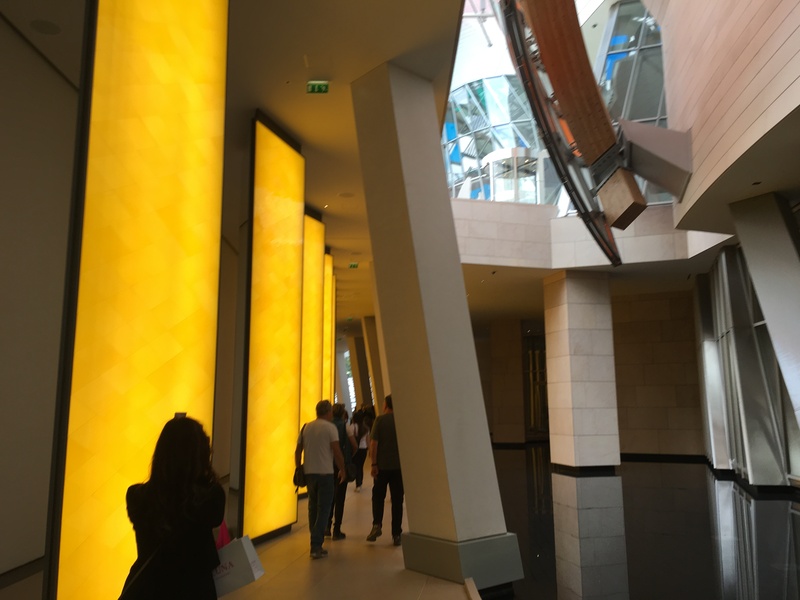 Today we visited the beautiful Foundation Louis Vuitton art museum dedicated to contemporary art. 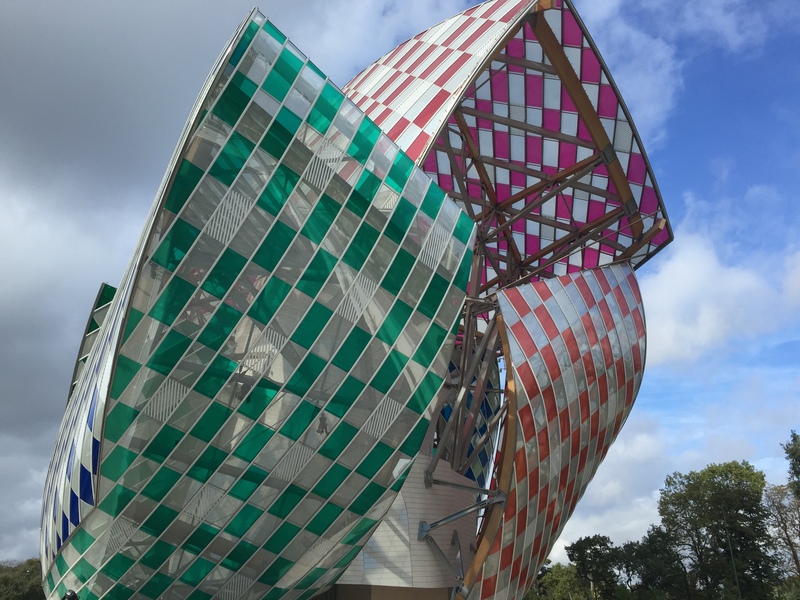 Designed by Frank Gehry, the museum opened in 2014 in the Bois de Boulogne. We were disappointed to learn that there were no exhibitions today but soon learned that the building and the few permanent art pieces were worth the trip. 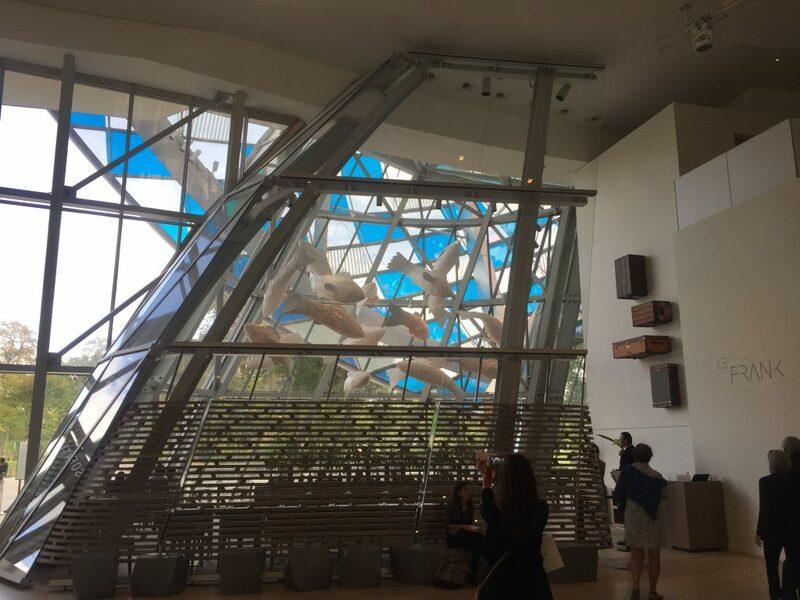 Dan Burin’s beautiful temporary installation of colored and striped panes over the normally clear glass sails is stunning. In the lower-level grotto forty-three prism-shaped columns designed by Olafur Eliasson. 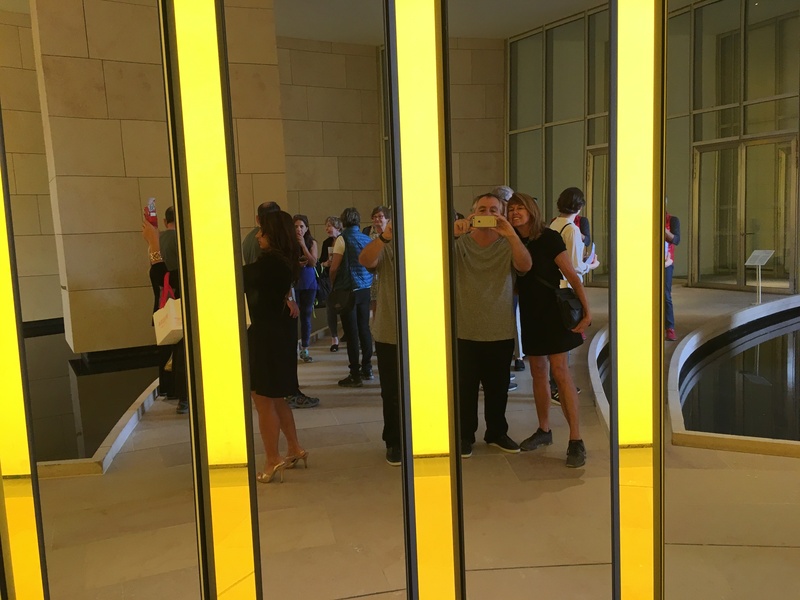 Of varying widths and lit from within, two sides are mirrored and one side is yellow glass. Standing in just the right spot, it is possible to see forty-three images of yourself reflected at one time. A beautiful fish sculpture designed by Frank Gehry hangs in the lobby over the restaurant. At night the fish light up. 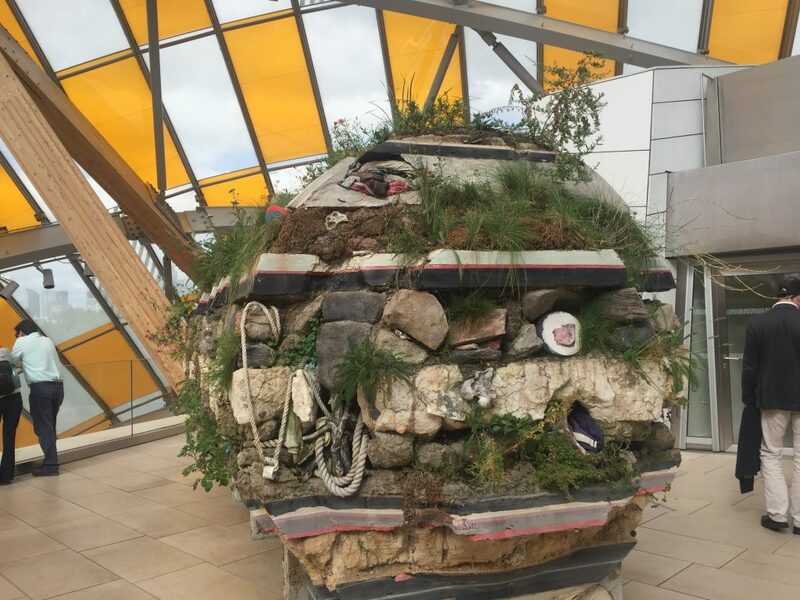 On the west terrace is an interesting piece by Adrian Vllar Rojas called “Where the Slaves Live.” It looks like an archeological find with layers of natural materials and everyday objects. 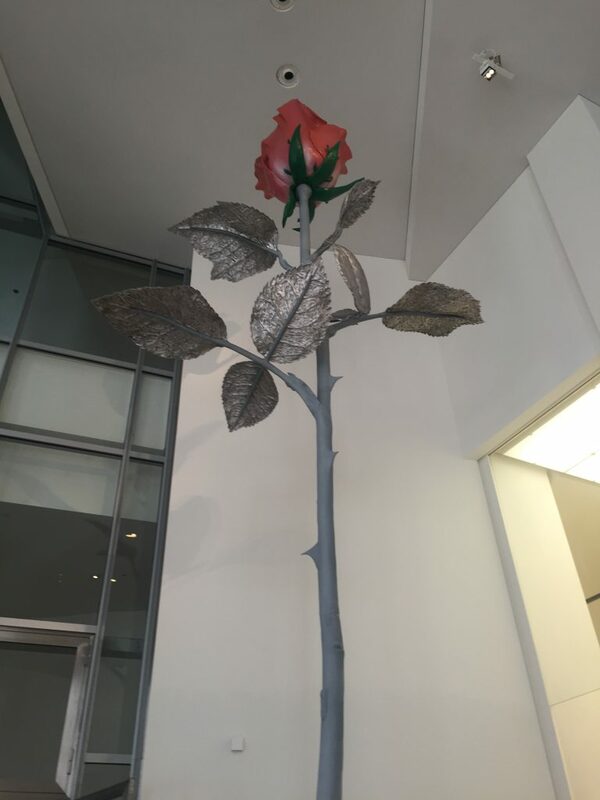 The beautiful rose sculpture in the lobby by Isa Genzken is presented as a gift to visitors to thank them for coming. 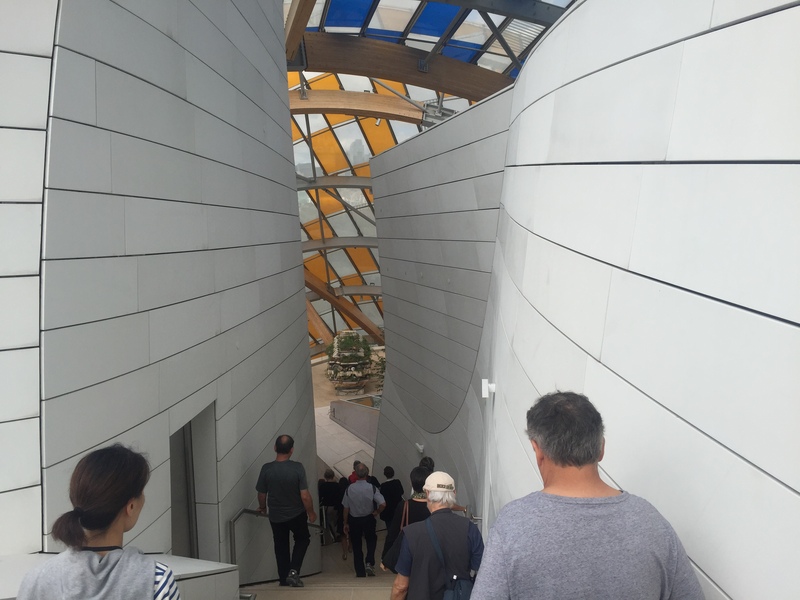 The white parts of the building are called igloos, and this walkway is called the canyon. 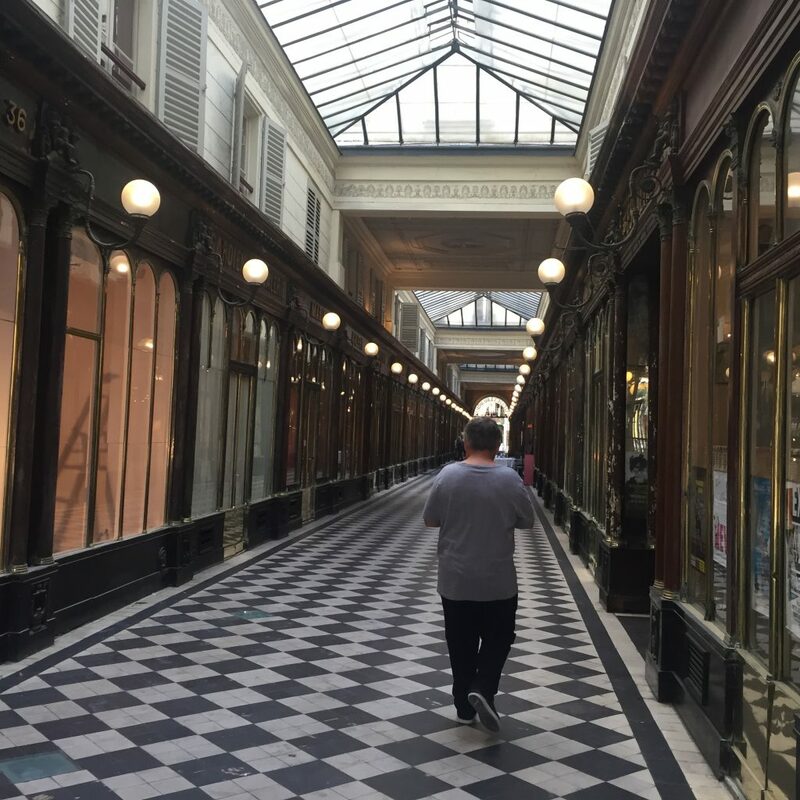 Paul has a wonderful app called “Paris City Walks” that maps out different routes and points of interest. It’s great for people like us who like to get off the beaten path and explore new areas. 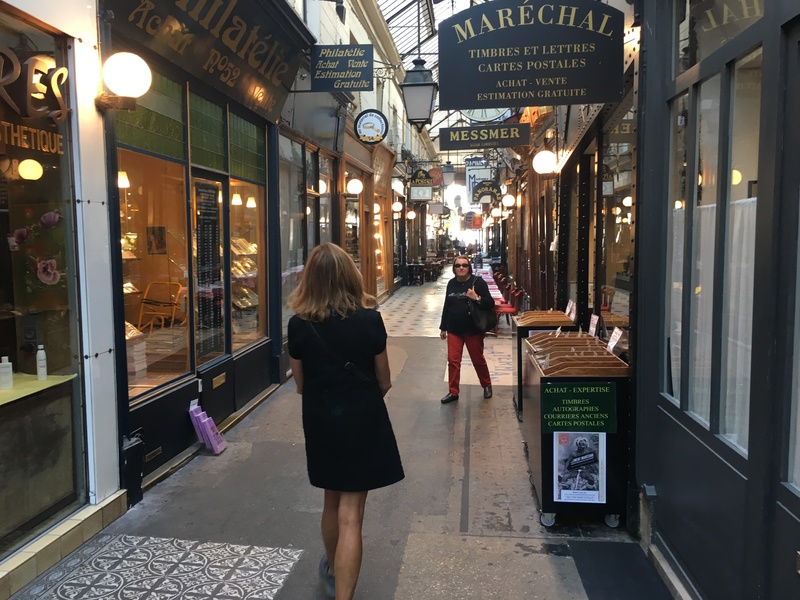 Today we did a great walk called “1st and 2nd Arrondissements Hidden passages.” The hidden passages are old-fashioned arcades with beautiful architectural features. 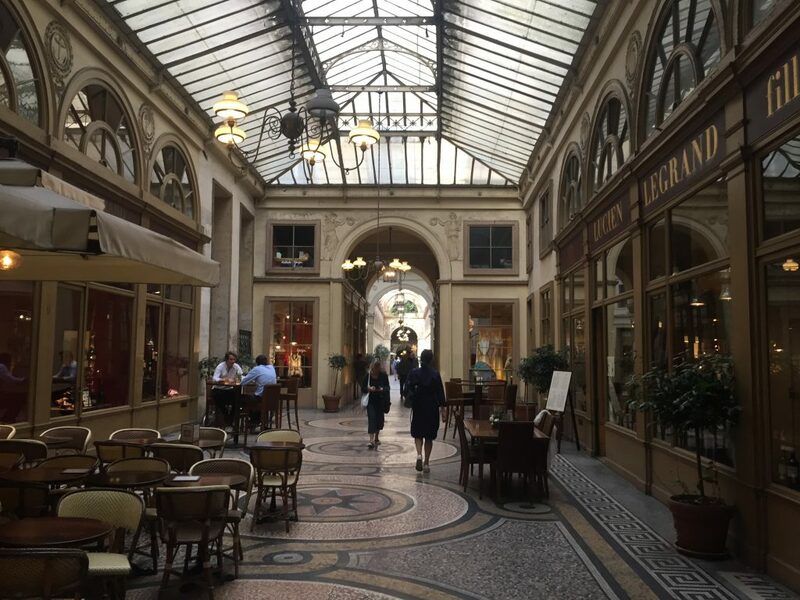 Many of them are glass-covered passageways lined with cute little shops and restaurants. We ended up in parts of the 1st and 2nd Arr. that we did not know existed. 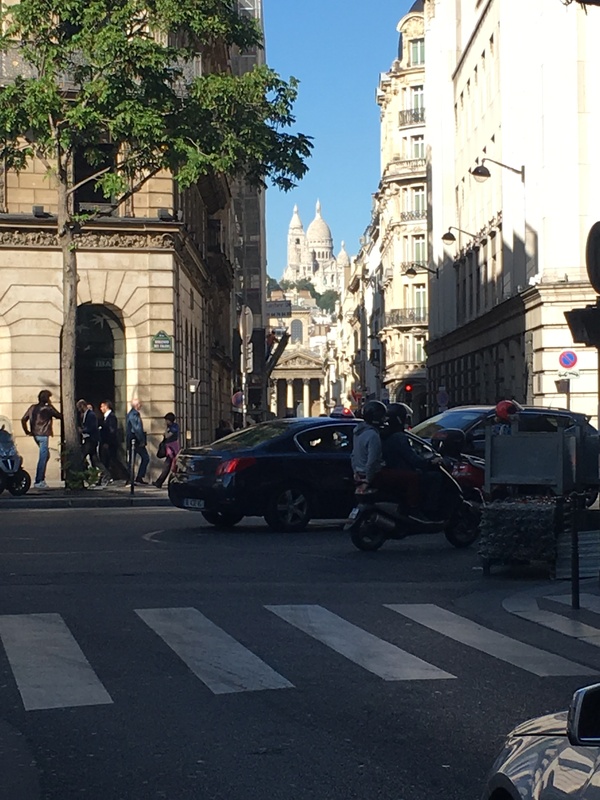 On one street we looked up and saw a beautiful view of Sacre Coeur. This entry was posted in Amsterdam, Bruges, Paris 2016 on September 28, 2016 by debbie.